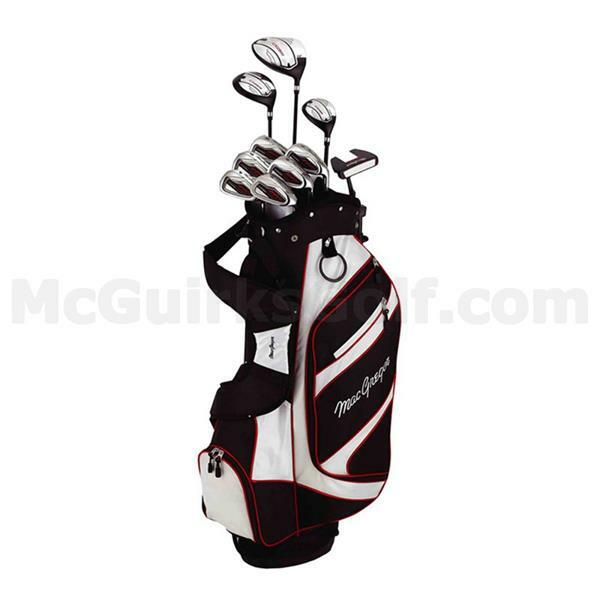 This MacGregor CG1900 Package set come with a combination of steel and graphite shafts. The irons and putter are steel shaft so that the premium is set on accuracy and distance control and the woods are all graphite shaft so that you can maximise distance with accuracy as well as launch the ball easier through the air. Driver - Large 460cc driver head with 13° loft that will help give you the control, accuracy and distance needed off the tee. The CG1900 Driver is is fitted with a lightweight premium MacGregor graphite shaft. Fairway Wood - A low profile head shape helps get the ball into the air quicker for improved carry and increase the versatility so that you can hit it from the tee and fairway confidently.The CG1900 Fairway Wood is is fitted with a lightweight premium MacGregor graphite shaft. Hybrid (Rescue club) - A great long iron replacement golf club that features an extremely low centre of gravity (CG) to promotes head stability on off centre strikes for more accurate shots as well as increase versatility as the hybrid can be used from the tee, fairway or rough. The CG1900 hybrid is fitted with a lightweight MacGregor graphite shaft for increased distance and accuracy. Irons - Include 6, 7, 8, 9, PW, SW deep undercut cavity back irons to promote easy launch, forgiveness and incredible accuracy. Right the way through the set of CG1900 irons you will find them easy to hit straight and perform when the ball does not quite find the middle of the face. Putter - Large mallet style putter head with face insert that will give you incredible feel and get the ball rolling off the face for better distance control. The mallet style head will help you become a consistent putter as anything that misses the centre of the club will still roll out because of the stability from the head. 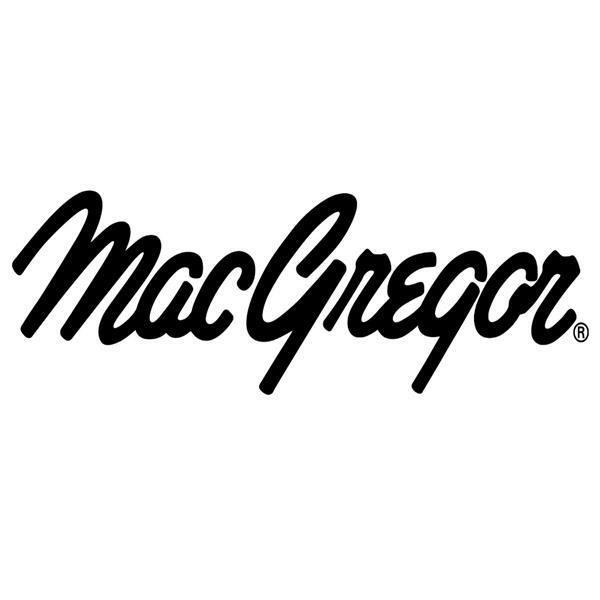 To complete this stunning game improver or beginner set from MacGregor they have used a deluxe cart bag that will help store and organise your clubs perfectly while sitting securely on a trolley or golf buggy. MacGregor have also given you a set of matching headcovers for the woods to protect the heads from knocking against each other.